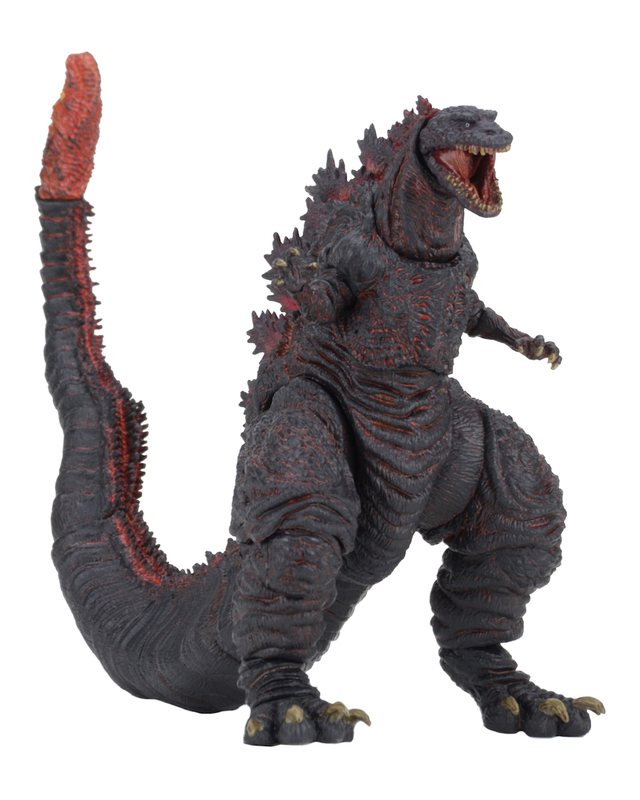 Still a week away from shipping to retailers, fans can now grab the Shin Godzilla 12″ Head-To-Tail Figure directly from NECA. They have added the figure to the NECA Ebay Store and the NECA Amazon Store. You’ll have it nearly a month before it starts to show up in stores. In the movie, Shin Godzilla rapidly evolves throughout the course off the film. 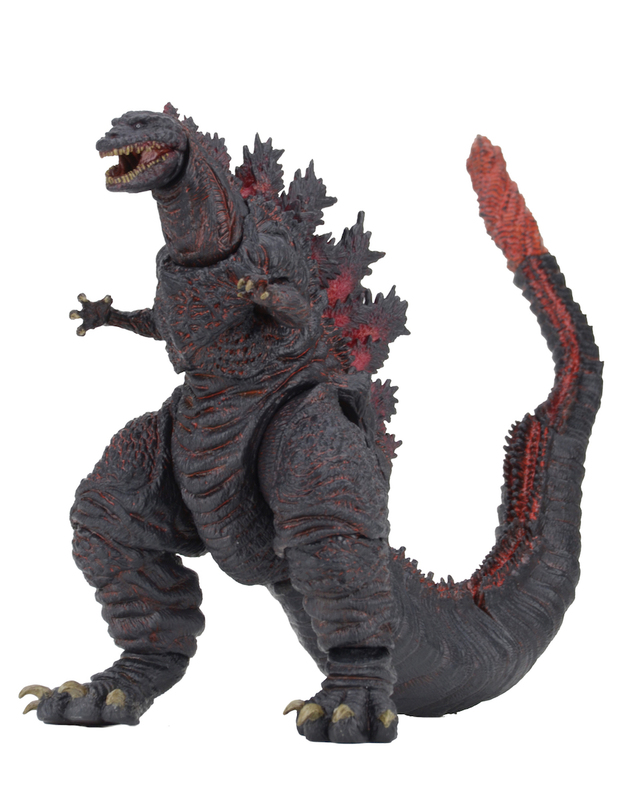 Each form becoming more powerful and destructive.This figure is based off of the fourth form of Shin Godzilla. From Shin Godzilla, the blockbuster 2016 movie that returned the classic Godzilla franchise to its roots! 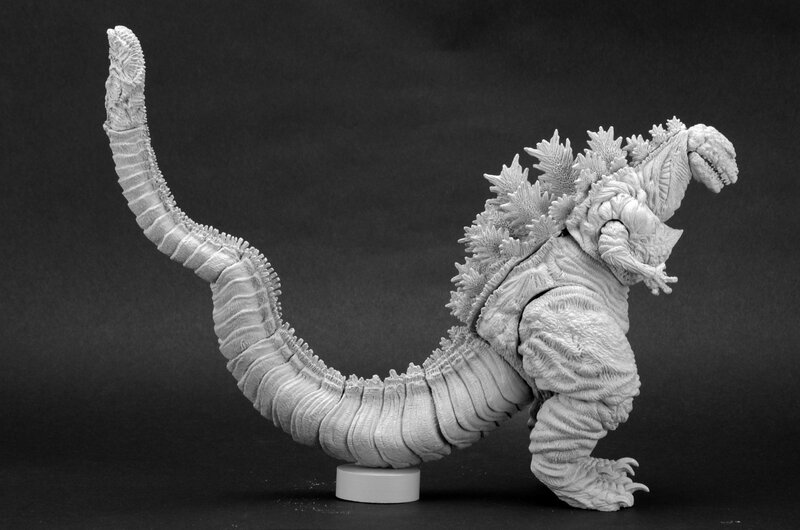 The most famous kaiju in the world measures 6″ tall and 12” long from head to tail. It features incredible detail and over 30 points of articulation, including an articulated tail! The figure is priced at $23.99 plus shipping. Click the links above to grab the figure. With a bit of custom paint work - because the end product never matches the prototype, this will be wicked. A nice alternative to the gap riddled S.H. Monsterarts line. It's really just a nice alternative because it's so much cheaper. The SH ones I've seen do look great but their price-to-size ratio is beyond what I'll pay. More lame crap from NECA. 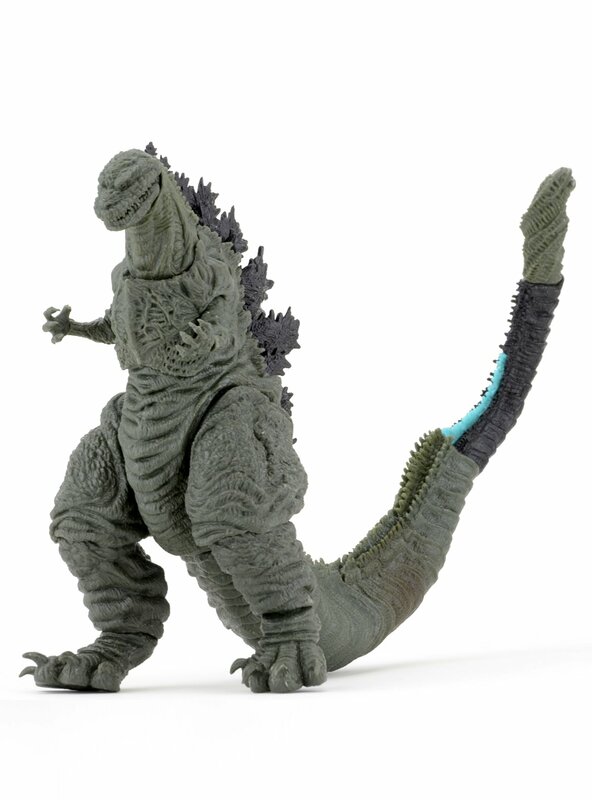 How about doing the Godzillas that Bandai isn't doing in the MA line? 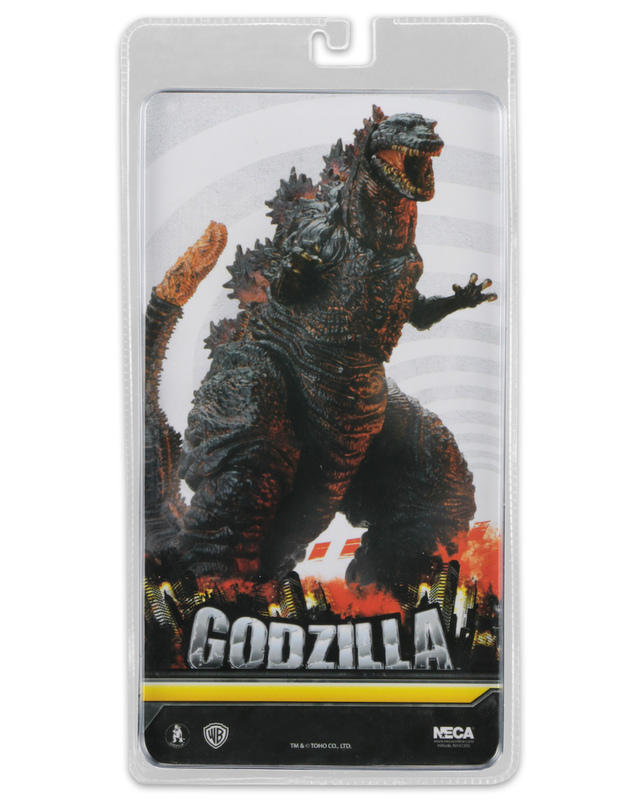 Anyway, as much as I enjoyed the movie last night, I just don't like this Godzilla design enough to want to bother with this inaccurate toy. I know our opinions will probably differ, but I'm curious what you think about the ShMonsterarts version how accurate to the movie it is, since you actually saw the movie and him in motion. I was lucky and was able to secure a preorder in japan for Shin Gojira. It kinda looks like they did the mouth, nose, and pupils wrong, and it's too fat/wide. But I didn't see ore then stills before the movie so not entirely sure. Edit; although that was a good looking toy. But the articulation on the ShM. 1954 looks really improved especially the head movement. Just wanted to say that I loved the movie! I don't love the design,but unless I see the SHM on sale; I'll probably pick this up to have one. I haven't seen the movie and I'm not really sold on that design, but it looks like a well done figure. I'm glad Neca is still doing Godzilla stuff and hope we get to see more in the future. As someone who is a fan of G-man and doesn't want to go through the effort or pay out the nose of some import figures, Neca has been my only life-line for Godzilla stuff as of late. I still have yet to see the movie. Toy looks good. Still not a big fan of the creature design myself. 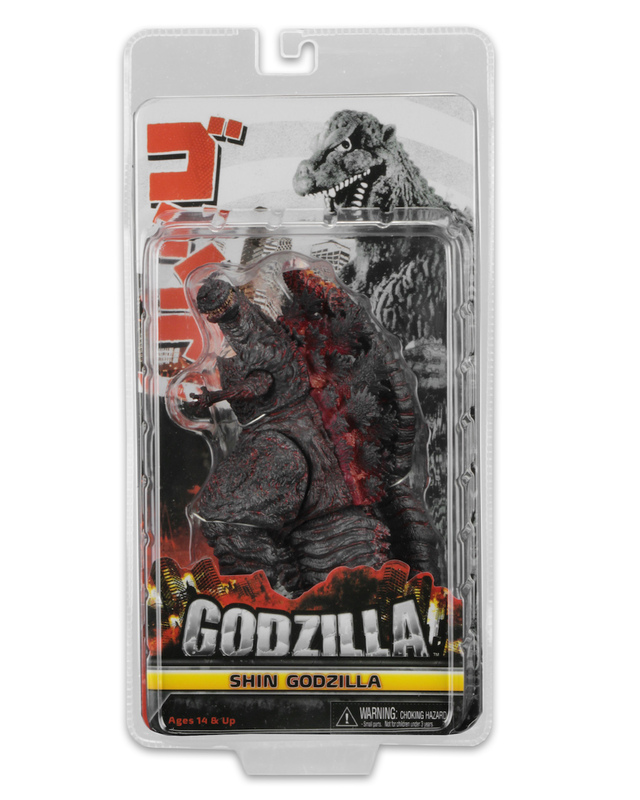 I'll get it, mainly for NECA Godzilla completion sake. While it looks better showing just the sculpt, and I'm glad they acknowledge the head needs to be smaller, I think it's gonna need a bit more than 3%, and the arms are still a bit too thick. They don't look as sickeningly skinny as they should. At this point I'm still gonna hold out for a second release of the SHMA that actually includes accessories worthy of the $100+ price point that one has, like atomic breath effects. Looks nice. Very excited. I didn't like the design until I saw the movie. 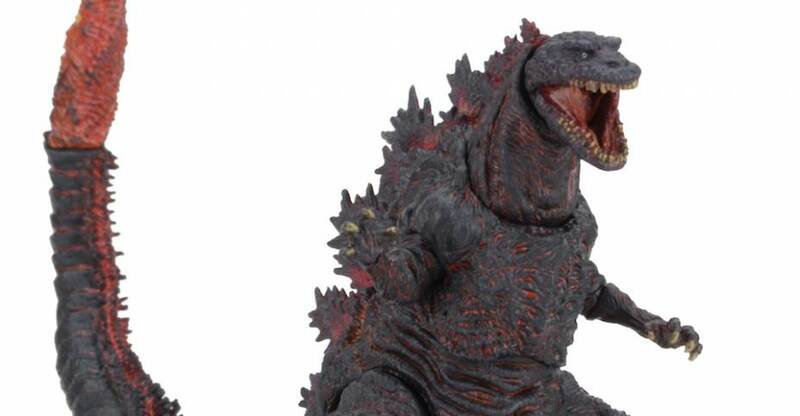 I hope NECA takes full advantage of the Shin Godzilla film, if you get my drift. Looks to be more normally proportioned than the atrophied look seen in the movie. I like it, it'll be an interesting variation; sculpt looks nice and sharp too. Very cool. I hope this comes to get this. IM liking the new look with the smaller head, saw the movie and this Godzilla was truly a horrific non stop killing machine. Very excited to get this one. If Godzilla didn't look like he came out of a PS4 game, I might agree about him looking horrific. He just looked way too fake in the movie for me to really like him. So grateful a decently-priced release will be happening. 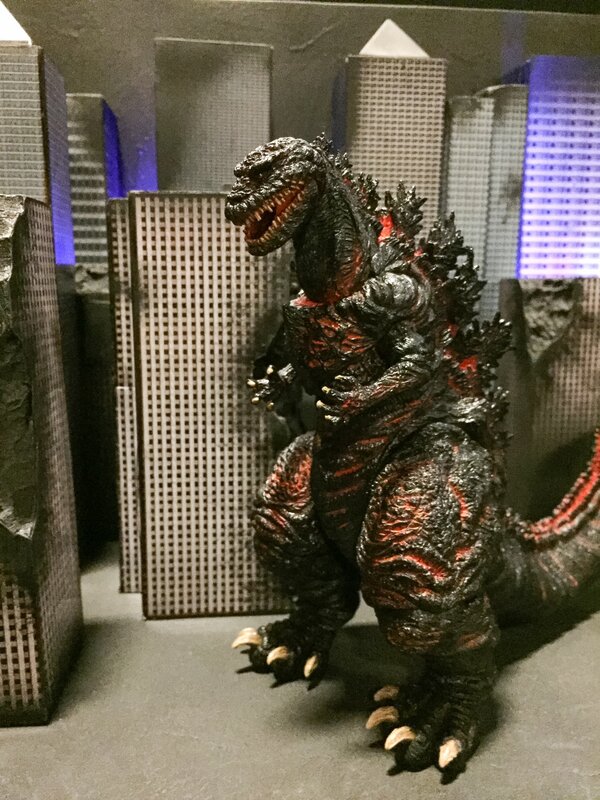 Wonder what the MonsterArts version will have with the effects in its inevitable second version. While on the subject, anyone know if/when the movie will be released on digital/DVD, if at all? The newer mold looks wonderful. It's awesome to see them putting in this effort to put out a quality figure. I'm glad they're open to criticism as they seem to have tweaked this mold a bit. I'm comparing him to screen shots from the film and he looks about as close as they can probably get, though I'm not sure about the tail length. Now I just need to see this elusive film so I can decide if I want to buy this figure or not. It looks much better, but then I think about how the final product will be bombarded with cheap rubbery spines and a got awful bendy tail.